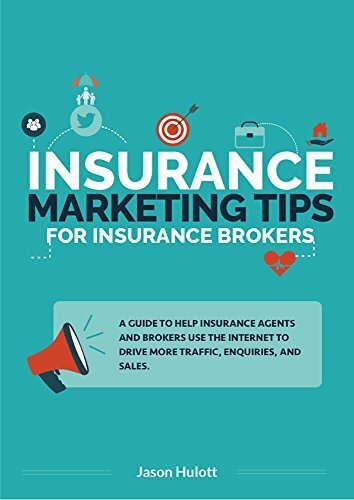 If you’re on the hunt for sure-fire insurance SEO tips, then you’re in the right place. Throughout this article, you’ll learn more about inbound marketing and the importance of local SEO. Let’s dive in! Inbound marketing is an umbrella term to describe the process of attracting new customers online (predominantly through your website and social media profiles). The aim is to design and optimise these platforms to continually grow and develop your business. Inbound marketing aims to grab the attention of your potential client. Once you’ve got them hooked, you then need to provide them with valuable information. This builds both trust and credibility with the visitor and makes it way more likely they'll want to use your service. Once you’ve got the opportunity to work with them, now’s your chance to wow them. This is the only way to ensure repeat custom and referrals. It's essential you educate your staff about this process. Otherwise, it just remains a theory. When everyone’s on board, you’ll help put your inbound marketing campaign into practice, and you'll eventually reap the rewards. For inbound marketing to succeed, you need to attract your ideal customers to your website. You don't want random visitors, because they probably won't convert into sales. Instead, you need to target people who are actively looking for the insurance services you provide. Let's investigate both in more detail. As part of your content marketing efforts, you should SEO optimise your website and blog for local SEO. This is much simpler than it sounds. For starters, you need to insert relevant local keywords into both your title and meta description tags. It’s essential to make the most of these elements to entice potential readers. Use both to communicate the content of your web page. Both the title and the description appear on search engine listings, so it's important to get these right. 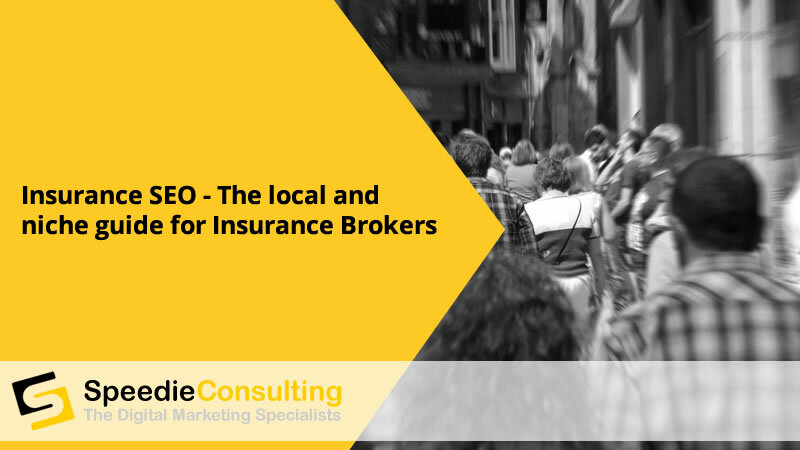 Good copy encourages visitors to click through to your site and explore what your insurance company has to offer. Local keywords refer to phrases that incorporate the town or city you’re trying to target. You should follow this with terms relating to the insurance services you're selling. For example, car insurance, home insurance, contents insurance, etc. Top Tip: Try to place your keyword at the beginning of the tag, Google prefers this! Take special care to craft a compelling meta tag and include a call to action at the end. For example, 'click here to reveal more'. Aim to write 150 characters for this element (at the time of writing, Google prefers this). However, Google's infamous for continually changing their algorithm, so try and stay on top of what it's looking for and act accordingly. One way to get your business in front of people looking for services local to them, is to make sure your site is listed consistently on a number of directory listings that are trusted by Google. This allows Google to then show your business in a local map or rank it higher in natural search. With more and more people using “near me” services, the best way to get their interest is to get on the Google map, which will come up at the top of results on a map. can help you quickly do this part of the local SEO process. Do make sure you check your current listing and make sure they are as similar as possible. This is a directory where local business owners can register their company. Not only is it a free service, but it also provides plenty of exposure to local consumers. Just visit google.com/business to get up and running. They'll then send a postcard through to your business with a PIN. You can expect to receive this within a couple of weeks. Once you’ve got your PIN, log in and verify your business. Upload your company logo alongside any other photos of your business. Perhaps the outside of your offices? Ideally, you want at least three pictures. One tip for businesses using GMB is to try and get clients to leave reviews on your Google My Business page. In addition to Google my Business, Bing also offers a similar service. It’s worth registering for this as well. The process is very similar, so all the above advice applies. In addition to local SEO, you should also focus on content marketing. This is the best way to establish yourself as an authority in the insurance industry. This means blogging or publishing video content that provides valuable information to your site visitors AND your existing client base. Think about what your audience needs help with and provide them with actionable advice. It’s as simple as that. You can then drive traffic to your content by utilising social media. For example, Facebook, Twitter, LinkedIn, etc. The key to success is analysing what captures and retains your audience’s attention. You can use tools like Google analytics to dissect the statistics that relate to audience engagement. Once you've digested this information, you can tailor your content and optimise it to appeal to your potential clients. Content marketing is not just about creation – in fact creation of useful content is only about 20% of the process. 80% of successful content marketing is distribution. So make sure you share your content as far and wide as possible - but consistently. Make it simplistic for clients to reach out to you. Insert clear and easy to use ‘call to action’ buttons throughout your website. This should take them to a 'contact us' page, or a contact form should pop up for them to use. Make sure you provide easy to use options. Whether you offer your clients a face to face service or handle all your insurance enquiries over the phone, insert an appointments page onto your website. This is an uncomplicated way for potential clients to reach out and discuss their needs at a time that suits both of you. You could also insert an interactive quote tool to provide some idea of premium costs. This will give customers a clearer idea of what they should be budgeting for. If you can’t provide this kind of tool – do tell people why. People are sceptical and do expect an online quote, but sometimes that isn’t possible with out asking for a lot of information. If you don't have time to get an inbound marketing plan up and running, why not book a 30 minute consultation with us to see who we can help you? You will be sent to a fairly detailed form so we can get a lot of information from you - this ensures we maximise the time we spend with you so even if you decide not to go ahead with us, you get some actual takeways to help improve your digital marketing.